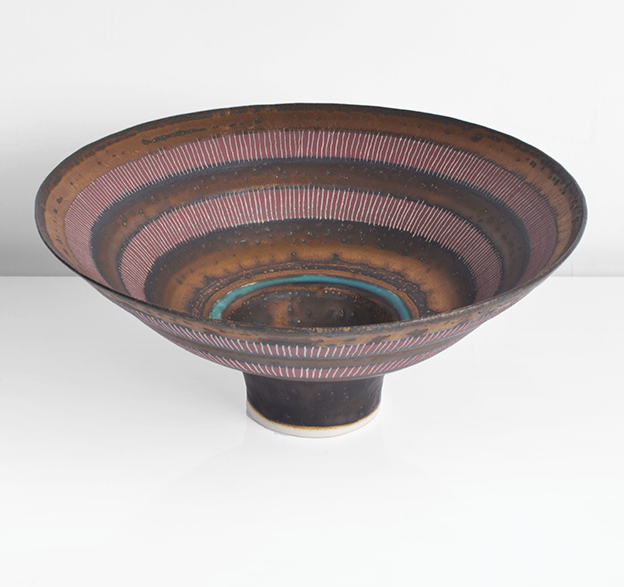 Works by the dynamic Lucie Rie and Hans Coper continue to go from strength to strength on the secondary market. This month, pieces from exhibitions which propelled the potters will be hitting the auction block. 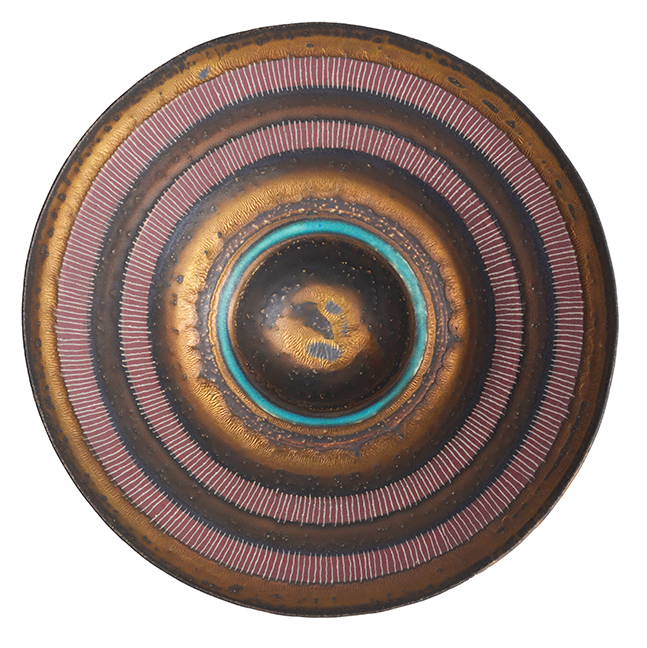 The piece has a bright golden bronze glaze and terra-cotta bands crossed with delicate sgraffito lines and a vivid turquoise ring around the well, the bowl, dating from circa 1980 and was purchased by the ceramicist Anne James in 1981 from the Henry Rothschild Gallery in Cambridge. The bowl represents a fine example of Rie's refined use of the sgraffito technique. Sgraffito, Italian for ''to scratch,'' is the technique of applying layers of color pottery and then scratching off parts of the layers to create contrasting patterns and textures. Two beautifully paired black flower vases, one large and one small, by Rie, circa 1958-60, will also be in the auction. 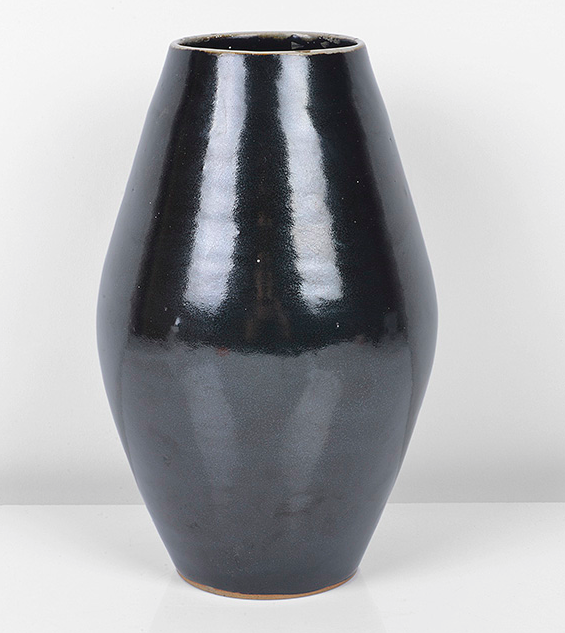 The larger of the two vases is from the personal collection of the esteemed gallerist Anita Besson and was exhibited in an exhibition celebrating Besson's passion for ceramics in Milan in 2012, the most recent in a long exhibition history for this piece. 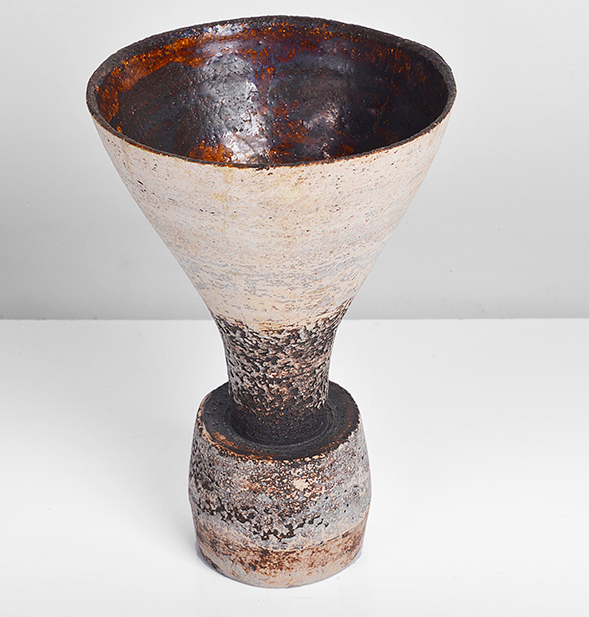 It was also featured in the seminal exhibition ''Potters in Parallel'' at the Barbican, in 1997, which celebrated the works of Lucie Rie and Hans Coper. The artistic relationship between the two potters, who potted alongside one another for 12 years, was celebrated at the Barbican. Although today, both their works are incredibly popular, the pair did not always attract praise from the art world. When Rie came to London in 1938, aged 36, she had been praised by the avant-garde Vienna Werkstatte. However, her unconventional techniques left London curators cold, and Viennese ceramics received a frosty reception. Dame Lucie Rie and Hans CoperImage: © Crafts Study Centre, University for the Creative Arts. It perhaps wasn't until the 1994-95 joint exhibition of Rie and Coper's work at the Metropolitan Museum of Art in New York that the potters were recognized for their pioneering work. 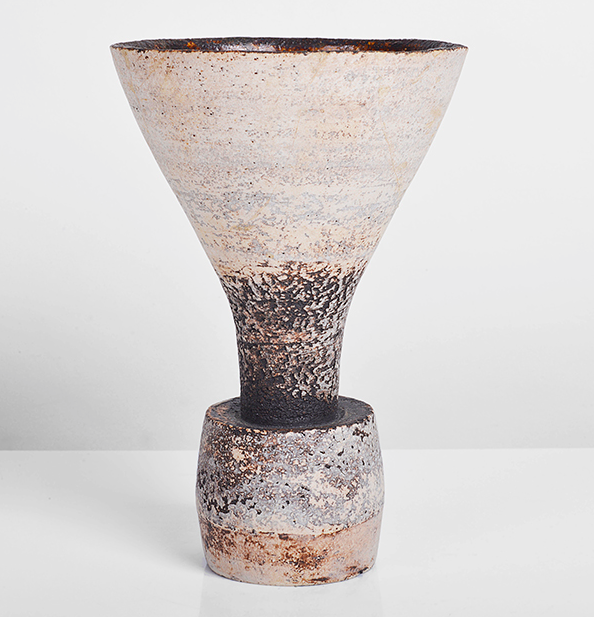 Hans Coper 'Trumpet Form' from circa 1962 is a small but beautifully proportioned work made at Digswell, a hub for ceramics in the UK. It was purchased by the sculptor Ralph Brown and his wife, Caroline. Ralph Brown was one of the first three artists to be invited to become artists in residence at Digswell in 1958, alongside Hans Coper and the textile artist Peter Collingwood. 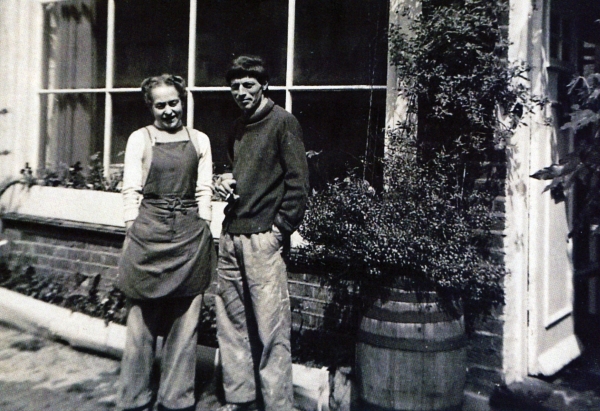 Ralph and his wife Caroline were at Digswell between 1958 and 1963 and became great friends with Hans in that time. They were often in and out of each other's studios and on occasion managed to persuade a somewhat reluctant Hans to sell one or two of his works to them over the years. This work was purchased shortly before they and Hans left Digswell in 1963. Although the piece has sadly sustained some damage it has underdone professional restoration and the market for Coper today is such that demand, even for restored works, is very high. The auction will take place from November 13 to 16, 2017. Estimates will range from $250 to $40 000. Check out more here.